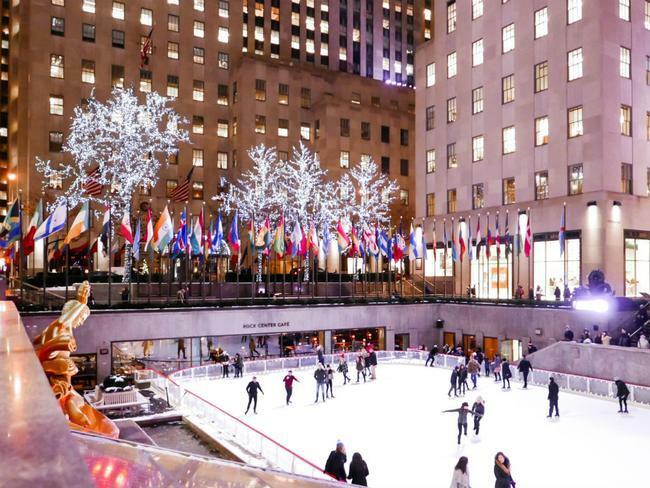 Rockefeller Center is buzzing this season, with the arrival of the Tree, the new star atop it, and the momentous reopening of FAO Schwarz. But before the Christmas Tree Lighting next week, it's time to celebrate Thanksgiving with family and friends. Whether you're dining for the day or planning an itinerary though Sunday, there are lots of things to do around the Center all weekend long. Booking ahead is definitely recommended! Rock Center Café and The Sea Grill are both offering a prix fix three-course Thanksgiving dinner. At both fabulous locales, the feast comes with views of the ice skating rink. Of course, if you're feeling a little less traditional, you can chow down on Thursday at Bill's Bar & Burger. Give thanks for those cheeseburgers, brews and a warm vibe that welcomes you in from the cold. Those who can't wait for winter will want to hit the Rink. VIP reservations are still available for Thanksgiving day. Top of the Rock is open from 8am to midnight on Thanksgiving and through the whole weekend, with the last elevator going up at 11pm. The view of NYC from the observation deck is not to be missed, and you can opt for a VIP pass for expedited entry, or upgrade to a Sun & Stars pass to have the experience both day and night. Though they're selling out, times are still available to take the famous, entertaining NBC studio tour at 30 Rock. Book here. There are even a few seats still open to catch the Rockettes in the Radio City Christmas Spectacular, complete with a new finale. Check out the venue's fascinating Stage Door Tour too. With lines around the block opening week, you can expect FAO Schwarz to be packed with toy lovers Friday through Saturday—so if you can't wait to play (or see the dance-on piano) in the incredible new shop, arrive early. The destination-worthy LEGO flagship and Nintendo NY also await for hands-on fun at the Plaza. Also check out our guides to weekend brunch, fall flavors at the Rock and public art around the Center. And while it isn't lit yet, the Rockefeller Center Christmas Tree is an unforgettable sight, as are the angels lining the Channel Gardens, and the Saks Fifth Avenue window display. It's true, a walk around Rockefeller Plaza is one of those beautiful things in life that's still absolutely free. Have a happy Thanksgiving!